You are proud of your eLearning course; you have spent a great deal of time and money to create it and you can’t wait to see if your efforts were worth it. The easiest way to evaluate the effectiveness of your eLearning course is by gathering feedback from the ultimate judge; your learners. Getting feedback from your audience has several benefits: It offers valuable data about what areas of the eLearning course may need revision and improvement, shows your audience that you are interested in knowing more about their eLearning experience, reinforces connection and communication between you and your learners, and last but not least, enhances engagement among you, your learners, and the learning material. But how can you gather feedback? And, most importantly, when? Well, the second question has an easy answer: Don’t wait until the end of the eLearning course. Upon completion learners are tired and eager to be done with the whole online experience. In addition, you certainly can’t expect them to remember every single part of the eLearning course that needs improvement after they have covered a large number of modules and different subjects. Therefore, avoid soliciting feedback at the end of the eLearning experience; instead prefer asking for comments or questions on specific checkpoints throughout the eLearning course, when the content is still fresh in your audience’s minds. And how to do that? 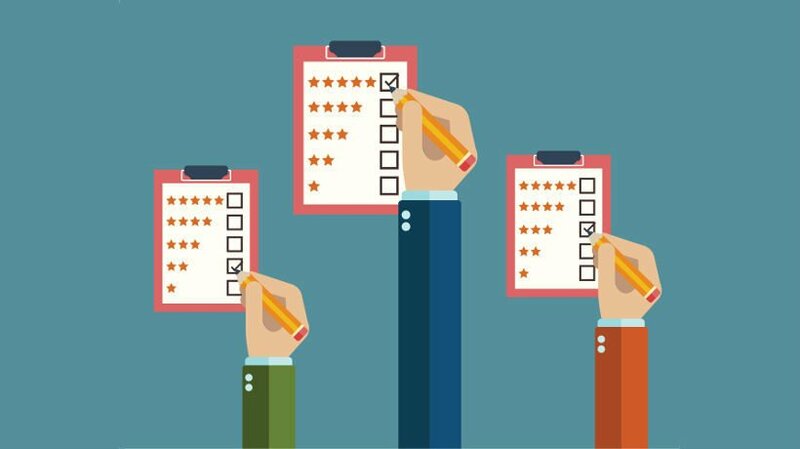 In this article, I'll show you 4 course evaluation strategies to receive feedback in eLearning and make sure that you have the tools to know everything you need about the effectiveness of your eLearning deliverable. Create anonymous surveys and questionnaires. Why anonymous? Because you want your learners to be open with you and provide honest feedback; otherwise why bother? This is particularly effective in corporate training, where traditionally employees feel more comfortable when allowed to express their opinions anonymously within the organizational context. Surveys and questionnaires have the advantage that they pose specific questions and therefore the feedback you receive is more specific. Furthermore, you can place them anywhere you like within your eLearning course; consider choosing key checkpoints such as right after a difficult module or a challenging online activity. Needless to say that if there is more than one learner or employee with a specific problem, it is almost sure that others will follow in the future. Don’t ignore the comments and concerns of your learners; they are the ones who are experiencing your eLearning course and they are the perfect source to provide you with valuable information about what works and what doesn’t. The results of the assessments that your learners need to complete can tell you an awful lot about their effectiveness. Is there a question that over 50% of your learners fail to answer? There might be a problem with either the wording of the question or the material you are providing, for instance, may not be adequate. Is there a challenge which more that 70% of your audience successfully complete in less time? You might need to adjust its level of difficulty. Your learners’ answers to quizzes and exams are a great way to gather feedback not only about their progress, but also about the effectiveness of your eLearning course; pay attention to them and you will learn a lot about what you need to improve. Multiple choice questions are a very “gentle” way to ask for feedback. They don’t require a commentary, which may be annoying for the learners, and put the pressure away, provided you get them right. Consider using quick multiple questions after a challenging module or important information, when the eLearning content is still fresh in your audience’s minds and make sure to randomize the positive and negative feedback answers. Make clear that you are open to feedback. Sometimes you may not even have to ask for feedback; sometimes it is obvious that a technique you follow doesn’t work, when for instance all learners fail to complete an assignment or the majority of them gain low points in an eLearning game. In such cases, you need to take action immediately, come up with new ideas, and adjust your methods and techniques. You need to frequently remind your audience that you are waiting for their questions and that you are open to any critique. Communicate with each of your learners regularly and ask them for their opinion about the eLearning course. Avoid generic questions, such as whther they have enjoyed the online course, and ask specific ones, such as: What was the most useful thing you have learnt so far? Was there any information that you are very unlikely to use upon completion? What piece of knowledge was the most difficult to acquire and why? Which module was the most boring/interesting one? Did the scenarios help illustrate real world situations? Did images support the eLearning content or were they irrelevant and distracting? Communicating that you are open to feedback will make your learners feel valued and appreciated, which will immediately increase their engagement levels and, hence their performance. It’s like killing two birds with one stone, isn’t it? Now that you know how to receive feedback in eLearning, you may be interested in learning more about giving feedback. Read the article 6 Ways To Give Constructive Feedback In eLearning and learn 6 key ways to offer feedback and ensure that your eLearning audiences get the attention they deserve.